If Anderson starts he’d have to be pretty good. Moody and Graham were our third and fourth leading tacklers last year, combining for 12 starts. I think Anderson will give us what we had last year, a third man in a three man ILB corps. We know how these recruiting sites work. There's what, 60-something "P5" schools? Nearly all of them will be higher just based on that. Also, they're averages, correct? So when we are taking full classes every year, they will likely be lower, on average, even if we have a higher top end. The most concerning part of it is the in-state rank. We should always be at least 2. For whatever reasons (which have been spanked here ad nauseum), there is obviously a "town-gown" issue here where Tulane is underappreciated by too many Louisiana recruits who then look elsewhere. Fritz is getting equivalent recruits from other states where he doesn't have to overcome that. So at least he's not sitting on his hands while he works longterm to fix/improve LA. recruiting results. On the field success via long-term stability (or good hiring), within the football staff will do wonders to overcome 60 plus years of futility for the locals. Here are my honest 2 cents on each recruit. Jacquez Norman- His film was much better than his rating. If he would've been solely a DB instead of a RB/DB, I think he would have been rated higher. Most sites evaluated him as a RB, and he's more of a safety. Could contribute right away on special teams. Likely a play 4 and redshirt guy. Caleb Thomas- extremely productive and versatile. Can play either OG or DT. Will come in and slide to whichever side of the ball we need him. Defensive Player of the year 2 years in a row in his conference. Nick Anderson- smart, instinctive player. Will push for PT right away. Dorian Williams- tough, hard hitter. Needs to get bigger. Could see time on special teams but needs a year to get bigger before competing at LB. Will likely play 4 and redshirt. Ton'Quez Ball- we are playing Ball at safety (his more natural position) rather than corner. He's fast, but he doesn't have the hips to stay at corner. At safety, he's an above average runner with above average ball skills. Good feel for the game and loves football. Kanyon Walker- the first real project of the bunch. If he didn't spend so much time riding horses as a youngster, he'd be a lot higher ranked. He reminds me a bit of Nico Marley in the way he plays...fast and with little regard for his body. Coach said that he's gotten bigger and stronger already in the month he's been on campus. Will likely overperform his recruiting ranking. Eric Hicks- big kid with some movement skills. Needs to get bigger and stronger. He'll get a chance to sit and develop for a year and then come out and show us what he can do in a crowded D-Line group. Tyler Judson- arguably the best football player in this class. I could see him pushing for a starting spot this year, he's that good. Speed to run sideline to sideline and excellent ball skills. Is more of the centerfielder that we've lacked on the back end. Tyrek Presley- tremendous work ethic. Kid doubled his yardage production from his Junior to Senior year on approximately the same number of catches because he dedicated himself to the weight room. He got bigger, stronger and faster and it showed. We lack that big receiver who has great hands and can run a bit. Presley runs tremendous routes and could eventually be that guy. Will have to fight for PT this year, but I think you could see a guy like this catching 20 balls as a freshman with an increased emphasis on throwing. Keshon Williams- tremendous athlete. Will step in and play right away in the TE rotation with Wallace and James. A lot like Tyrek James. Jha'Quan Jackson- FAST. Dude can really run and is dynamic with the ball in his hands. Another guy who could catch 20 balls this year. Also a candidate to return punts/kickoffs with Amare Jones. Armoni Dixon- I love this kid's makeup and toughness. Was shot by a gang member two years ago and didn't skip a beat. Very intelligent, family put a premium on education. He needs to keep getting bigger and stronger, but he's a promising young player. A play 4 and redshirt guy. Levi Williams- another guy with tremendous speed. It's hard to find corners because not that many guys can run well enough to do it. He can. Will push for PT this year but likely 4 and redshirt. Kiland Harrison- could be a candidate for fastest player on the team with Dauphine. Electric speed. We are using him at corner where he'll have a learning curve, but he could be a huge steal. Darius Hodges- already weighing in at 260, he will be in the rotation to back up Patrick Johnson. If he keeps getting bigger, he'll likely back up Cam Sample. Will be a name that is called plenty over the next 4-5 years. Colby Orgeron- this is another project. He's already gained 20+ lbs since football ended working out and eating right. He'll be 290 after his freshman year. If he can retain his athleticism and catch on to the offensive side of the ball (a big if), he'll be a multi-year starter for us. Definite redshirt. Sincere Haynesworth- will be in the mix to back up at center. If he develops like we hope, he's likely your 2020 starter at Center. Jackson Fort- good kid with good blood lines. His dad played some pro ball. Needs to get stronger to compete for playing time. Will redshirt (as all of our o-lineman should...always). Conner Richardson- big target at Tight End. Hasn't played that much football, but he is the prototypical size you look for (6'6 240). Needs to learn to be more physical, but that should come with confidence playing football and time in the weight room. Tyjae Spears- outstanding versatile back. Reminds we a lot of Dontrell Hilliard- and that is high praise. Could easily transition to receiver and not skip a beat if needed. Will be a great back for us for 4 years. Also kick return potential. I like this class. It doesn't have star power, but it fits nicely with what we're trying to do. Remember, of the 4 highly ranked guys we got last year...2 are not on the team (1 is out of football) and another barely played. It's really a crap shoot. When these kids get on the field with real men, you see who can really play. Desire and work ethic are underrated attributes that are not reflected in stars. Caleb Thomas carried a 247 rating of .8299 when he signed. That and Nick Anderson would have put us about where we were last year after the early signing period. Add in Hodges, who secretly signed early and we’d have been slightly ahead. But for reasons known best to themselves 247 dropped him to a .7982. Funny thing, if a big program had taken a shine to him that rating likely would have gone up by at least the same amount. I'm really looking forward to what Tyler Spears will do here at TU. Great fit for this Offense. Good breakdown, fun to read. I deletedthe guys I didn’t comment on. Norman could definitely get on the field next year but he needs to redshirt BECAUSE of his versatility. The coach who talked about him last night mentioned more than once how he could easily play RB here. We should give him a look there. If you like what you see you can reduce your emphasis on RB recruiting in 2020 a bit. Thomas is the same story. Let his performance as a redshirt dictate where he plays. Ball looks like a good, tough nickel back. He made all-State on offense. I see a little Derrick Strozier in him. Walker looks like an upperclassman already. Jackson is DJ Banks all over again but faster. I think he crowds Presley out of playing time and makes him redshirt. One of the duo of Harrison and Williams will probably have to play this year. All our DB’s expect Judson were outstanding offensive players as well. If Hodges is 260 he’s definitely playing in the Sample slot. His explosiveness reminds me a bit of Michael Pierce. Coach Fritz said in December that he loved that Colby Orgeron played defense because it kept other coaches from seeing what his staff saw in camp. If Haynesworth looks like the goods he should play this year behind Montano to get ready for 2020. Richardson will redshirt but I’d keep an eye on his weight. He’s got a big frame and as a good HS basketball player you wonder if he could have the agility to be a college offensive tackle. So definitely a project. We have depth at RB but Spears will be too good to redshirt. If he had played alongside a standard issue Hank Tierney veer QB he’d have put up huge rushing numbers and attracted more P5 suitors than he did. Transfers don't get counted in these rankings. However it is not unconventional to recruit those transfers anymore. It is now mainstream. So it's hard to know if our ranking would improve or not. McCleskey will be a standout for us. Anderson will help at LB. Montano will likely start. Knutson looks like he'll end up being more like Knighton than Fisher. We'll see. Then there's a lot of unnecessary angst on this site as Tulane is mainstream in recruiting (just unrecognized) and not an outlier which seems to be the tone of many of these posts. To quote the proverbial Brigade Commander, "I don't care how you take that hill. Just do it." We'll see if Tulane wins. I like Fritz's chances because he worked the problem instead of howling at the moon. Actually what has been said is that Tulane was doing something that others weren't and therefore gaining an advantage. It was you that said that. That's simply not the case. The angst is that the HS recruiting took a step back this year. ThI te transfers do give some hope. That said you build a PROGRAM on HS recruiting. I vote for what works. We're talking college free agency transfers here not JUCO pipelines which PAC12/MWC schools have been milking for decades because of California Community College system. Let's compare apples to apples. Outside of UAB and its bizarre circumstances, please identify a couple of recently successful college football teams that have had one quarter to one third of its starters transfer from other programs. (WWII V-12 programs don't count. ) Lots of one and two offs like Oklahoma QBs are out there. That's always been true. We're speaking about industrial scale of transfers here, again not JUCO pipelines. Maybe it's my simple ignorance but, yes, I do think Fritz is taking the lead here with the new NCAA Transfer Portal system. I welcome being shown others have done it well already because that just reinforces the likelihood of it succeeding with Fritz. Meanwhile as I've said repeatedly, I'd be ecstatic if the majority of Tulane recruits came from high schools especially local ones. But those halcyon days of decades ago may be unrepeatable today. 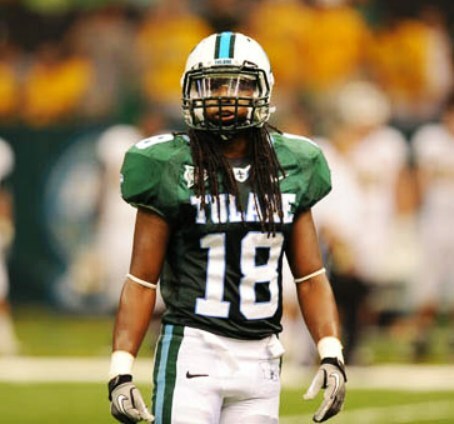 If Tulane has to win with transfers as the key, so be it. If we could just put together 2-3 Bowl seasons local recruits will start to show up. I think the camps with lsu are a good thing that would start to really pay off if the former were to happen. It pains me to say it, but those dual camps with them could do a lot in terms of perception by local kids. We all vote for what works. Let's start with your list. Only 3 will definitely start. MCmillan, McCleskey and Dauphine. Though actually Dauphine will be behind Bradwell. Montano may start but we'll have to see. I'm not going to go through all 130 rosters. LSU though had not only the QB but at least one lineman that had transferred in plus a DB from Stanford. Having said that it is schools down the list like us that are going this route to get more. Love Willie but he's far from the only one doing this. All those payers in the portal are going somewhere . Think about it.. McCleskey was rated #19 on the transfer list. Somebody else got those first 18. We agree that we'll happy to win with some transfers. The point still stands though that for consistent and sustained success it will have to come from the HS ranks. It is what it is for this class. No problem admitting that. The hope is it gets better going forward and I think it will. TU23 and LG, both of you have posted some great stuff. I know I am speaking for a lot people by saying a big thank you! Thanks for that breakdown and all the other information you've given throughout this process.